Busy day tomorrow with two one-hour radio shows — both Q & A’s. First, Relevant Radio’s Drew Mariani Show for an hour of Open Line Q & A on Peter and the Papacy from 3-4 PM Eastern. This show is in honor of the Feast Day of the Chair of St. Peter. Click HERE for more on the Chair of Peter – Chair of Moses. 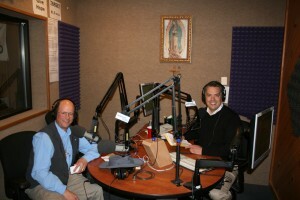 Second, Catholic Answers Live for an hour on Living & Loving Lent from 6-7 PM Eastern.